Flying vehicles that are passively stabilized do not require sensors for determining their attitude, nor do they require as many actuators to correct their attitude. To achieve passive stability, we look toward adding simple aerodynamic surfaces to hovering vehicles. First, we generate a model of the aerodynamics of the surfaces and the dynamics of the vehicle. Using this model, we can predict the vehicle’s stability with any given configuration. We program a computer to test a large number of configurations, then we can rate them based on various parameters like fastest response, least material, least drag, highest margin of safety of stability, and so on. We plot a root locust to visually compare the configurations. 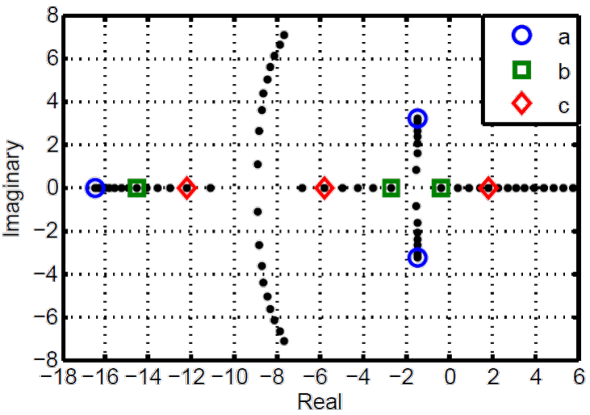 To make sure our model predicted reality, we made a handful of interesting configurations and flew them. The a, b, and c configurations above are the same as a, b, and c in the diagrams below. Although we use a quadrotor in our research, this type of stability is useful for ANY flying vehicle without angular momentum. This type of stability has been used for robotic ornithopters, including the Robobee, and could be used on new, overly underactuated vehicles like the ones depicted at the top of this page. 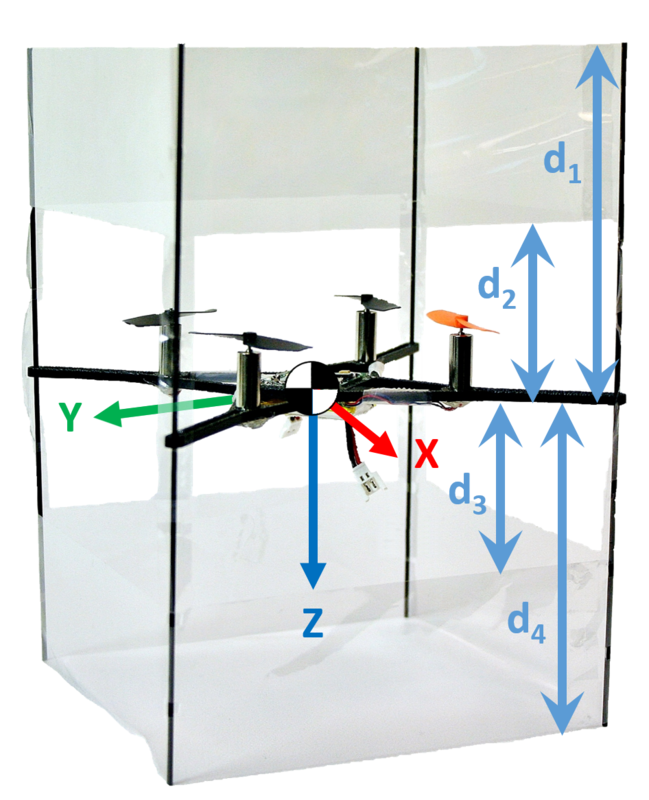 M. Piccoli and M. Yim, “Passive stability of vehicles without angular momentum including quadrotors and ornithopters,” in Robotics and automation (icra), 2015 ieee international conference on, 2015, pp. 1716-1721. Jul 02, 2015 | Filed under Flying Devices, Uncategorized and tagged with Piccoli.